a frozen-over world I could glide above. we should have kept wound around our own necks. settling against the banks of our houses. drawn to the heat of a warmly lit kitchen. called us back into the house. NOTE FROM THE AUTHOR: I grew up in the 70s in East Detroit, Michigan, a suburb of Detroit [now called Eastpointe]. Once or twice a year we had snowstorms that brought snowdrifts and misery to the adults who had to shovel the snow and drive on the treacherous roads. For us children, the snowstorms were magical with snowy nights bright as day, and wonderfully long school-free days in which our only responsibilities were helping our parents shovel snow, and maybe finishing the homework we probably wouldn’t have to turn in the next day. 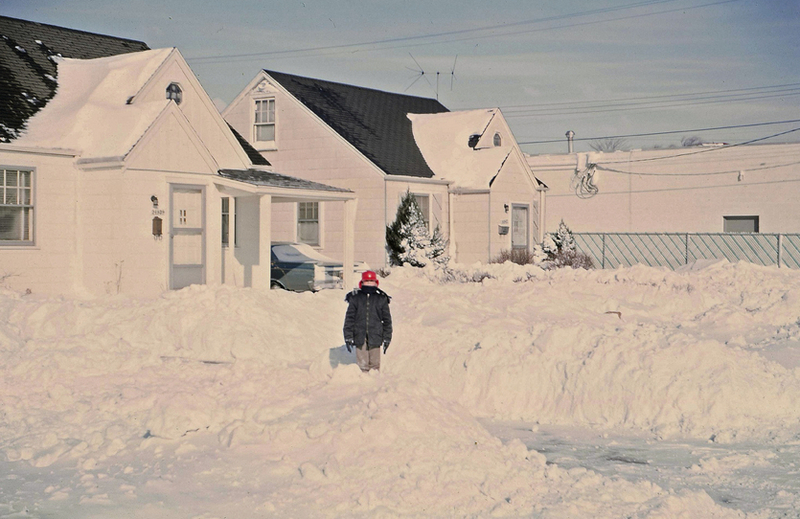 PHOTOGRAPH: “Big Snow in East Detroit, Michigan (1970s)” found at Flickr. 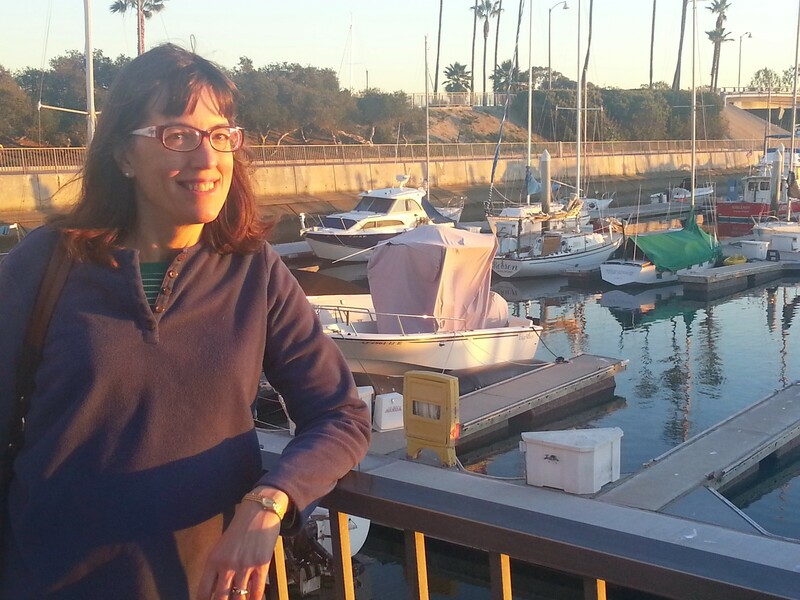 ABOUT THE AUTHOR: Robin Dawn Hudechek received her MFA in creative writing, poetry from UCI. Her poems have appeared in numerous publications including Caliban, Cream City Review, Blue Arc West: An Anthology of California Poets, Cadence Collective, Silver Birch Press, East Jasmine Review, Hedgerow: a journal of small poems, San Gabriel Valley Poetry Quarterly, The Camel Saloon, and work forthcoming in Chiron Review. She lives in Laguna Beach, California, with her husband Manny and two beautiful cats, Ashley and Misty. More of her poetry can be found at robindawnh.wordpress.com. I loved this poem, Robin! You brought me back to my childhood snow days! Ah, the magic and beauty of snow days…you’ve captured it so well, Robin, as you always do. This is a beautiful journey into your childhood memories–thanks for taking us with you. This would certainly ring true all over the northeast, as well! I love this poem. You took me to winter in Detroit in the 70’s. I’ve never lived through snow days, but I have a good sense of what they’re like now. Kudos to you, Robin. Nice work Robin! I love this one!